Garima Goswamy pursued Philosophy for 10 years. During this time, she taught undergraduate students studying at Lady Shri Ram College for Women, St Stephen's College, BML Munjal University in the capacity of a guest faculty/visiting faculty. 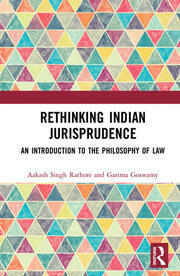 She has written a few modules for Philosophy of Law paper for University Grant Commission's e-pathshala. She has presented papers on ethics and early Buddhism at National and International Conferences. Garima Goswamy acquired M Phil in Philosophy from University of Delhi. She has taught in colleges including Lady Shri Ram College for Women, St Stephen's college and BML Munjal University. She has presented papers at national and international conferences. She has written modules for Philosophy of Law paper for University Grant's Commission's e pathshala. Besides academics, she has been involved in the Risk Consulting Industry.